A legislative effort to open some law-enforcement personnel records up to public scrutiny died a quiet death in the Capitol last week. Under current law, police personnel files — including complaints filed against individual officers through internal-affairs units and independent civilian oversight agencies — are considered off-limits to the public. But Senate Bill 1286, authored by State Senator Mark Leno, would have mandated the release of substantiated complaints of civil-rights violations or excessive force. The bill also would have compelled the release of records of any death or serious injury involving a police officer, and would have asserted that confidentiality for police personnel records doesn't apply to documents held by civilian-oversight agencies. California's legal architecture that allows law enforcement to withhold personnel records is viewed as among the most restrictive in the nation. It's a product of section 832.7 of the state evidence code, which bars police departments from releasing personnel files to the public, and the 2006 state supreme court ruling of Copley Press v. San Diego, which closed off proceedings and documentation of independent-review agencies such as the San Francisco Police Commission and Oakland Citizens' Police Review Board from the public and media. One of the cities hit hardest by Copley Press was Oakland, where the proceedings and records of the Citizens' Police Review Board provided a measure of insight into alleged misconduct by individual officers. Those records proved critical to a 2011 investigation by this reporter into OPD's officer-involved shootings: pre-Copley complaints traced a pattern of excessive force by key officers who would later be involved in acrimonious, costly, and deadly shooting incidents. Under SB 1286, the Internal Affairs investigations of the death of Irma Huerta Lopez and the conduct of her husband Brendan O'Brien, which is at the center of a sexual-misconduct scandal tearing the department apart, would have been eligible for release to the public. SB 1286 cleared the Senate Public Safety Committee on April 12 by a 5-1 vote but failed this past Friday in an appropriations committee. From the outset, Leno's bill faced an uphill battle, with 29 law enforcement and labor groups lined up against it. A prior effort, Senate Bill 1019, introduced in 2007 by Leno and then-Sen. Gloria Romero, would've rolled back the restrictions placed on independent oversight agencies by the Copley Press v. San Diego ruling, passed the Senate, only to die in the Assembly Public Safety Committee after more than 100 police union representatives pressured legislators to oppose the bill. They warned that officers' families and lives would be threatened by the transparency measure. This time around, law enforcement says their opposition wasn't about keeping records secret. 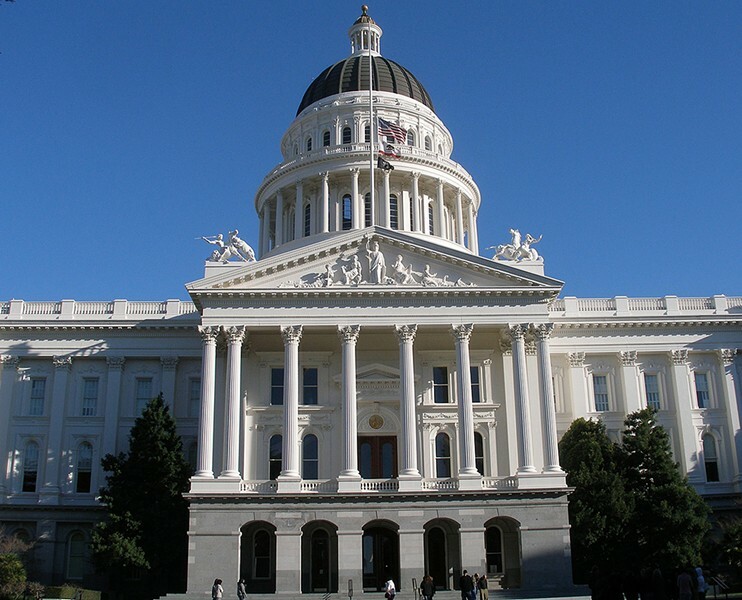 "We're not opposed to transparency," said Shaun Rundle, a government affairs and public safety specialist with the California Peace Officers' Association, one of the largest law enforcement lobbying groups in Sacramento. "But the bill would have required significant costs to comply with the Public Records Act." He added that some departments don't even have enough cops on the street. "And the financial burden on those agencies would have been crushing," he said. Leno believed that the political atmosphere in California had changed following the Black Lives Matters demonstrations of 2014 and the subsequent national conversation over criminal-justice reforms. "I believe that civil society is dependent upon the dangerous and difficult work of law enforcement, but they cannot do their work without the trust of the community they serve," he told the Express. "That trust has been seriously frayed." "We're one of the most secretive states in the country," Leno continued. "Right now, if you're the victim of an incident and file a complaint against the officer, you may not have the ability to find out anything about that investigation. Tell me how that breeds trust?" While drafting SB 1286, Leno's staff and the American Civil Liberties Union examined laws regarding police records and transparency throughout the United States. According to their survey, California's laws were more restrictive than those in twelve states with markedly more conservative political climates, including Missouri, Florida, and Ohio. "In Florida, any complaint is open to the public – even if the allegations are not substantiated," Leno said. A recent Cato Institute study found that in states where laws favor transparency for police records, there were fewer reported assaults on officers than in states like California with more restrictive laws. "The status quo has to change; we have to rethink our approach to policing and police shootings," said Peter Bibring, a staff attorney for the ACLU of California. "Since internal investigations and evaluations of officer-involved shootings from start to finish are deemed confidential, the public has no assurance that cops are being held accountable because the whole process happens behind closed doors."